The Scarecrow Queen – Book Review! How am I supposed to write about this fantastic book? Upon finishing it, I was left in a blubbing pile of emotions. BUT I DON’T NEED EMOTIONS, RIGHT? What an incredible novel. A superb ending to a gripping trilogy. Here is my book review for The Scarecrow Queen. With Lomere under the thumb of Aurek,once believed a fairy tale, The Sleeping Prince is growing restless. Word is reaching him of a band of rebels leaving messages in camps and towns. Throughout Lomere and Tregellan, the rebels are bringing people hope. They try to ensure that one day the Sleeping Prince will no longer be a threat and everyone will be safe once more. Even though these rebels cause Aurek stress, there is only one person he wants to find. He wants to rip out her heart for her ancestors were the reason he was put to sleep. The Sleeping Prince wants to find and kill Tywlla. Meanwhile, Twylla and Errin are separated after a grueling fight. Isolated and alone, they both need to risk everything, rise up and figure out how to find each other and defeat Aurek. Time is running out. Will they succeed? I was so incredibly happy when I finished The Scarecrow Queen. Oh my sweet baby Jesus. Where to begin! The Scarecrow Queen was everything I wanted and more. The book wrapped everything up beautifully and it really hurt when it ended. I DIDN’T WANT IT TO END! Salisbury really exhaled with the writing throughout the book. It was shocking, gripping and completely action-packed from page 1! 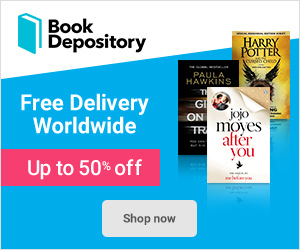 The perfect book bundle. The Scarecrow Queen brought back characters from both The Sin Eater’s Daughter and The Sleeping Prince in one way or another and I loved that. The one that I adored while reading The Scarecrow Queen was the perspective changes. Throughout the book, the story was told through 2 different characters – Twylla and Errin. This kept things feeling fresh and engaging. If I was to tell you whose perspective I enjoyed the most, I really couldn’t say. I loved Twylla’s side while she was banding people together in order to face Aurek in Lormere. Errin’s point-of-view was also super interesting if nor terrifying. While the story was told by Errin, the true nature of Aurek’s cruelty really shone through. The Sleeping Prince was an incredibly despicable character who manipulated and tormented people. He is the exact kind of character you love to hate. The Scarecrow Queen really saw the peak of Twylla as a character. Ever since her time inside the castle in Lormere, she has grown so much. Once known as Daunen Embodied where people would fear her because of her “death touch”, but now the rebels leader. She has risen above the fear and shown that she is not like the queen. Twylla wants to show everyone that she is not afraid of putting an end to Aurek’s terror. With the help of friends along the way, Twylla really proves that she is no longer the anxious princess she was thought to be. Even though Silas was not a big part of this book, to me he felt like a constant. He was there in spirit but not touchable. The moments that Silas came into the limelight however, the writing was gut-wrenching and emotional. Out of the entire series, I think this one is my favorite. I just loved how the book had the perspectives of both Twylla and Errin. Plus the book was so action-packed, it was exhilarating! the Scarecrow Queen highlighted how horrible Aurek was, and how he had a hold on the things people loved. It also showed that with Twylla and Errin banding together, they would stop at nothing to free the ones they loved and defeat him. Towards the end of the book, I actually needed to stop reading for a bit to pull myself together. I was crying so much that I didn’t want to ruin the book! That takes talent, and Salisbury has that talent in bucketfuls. What a trip. 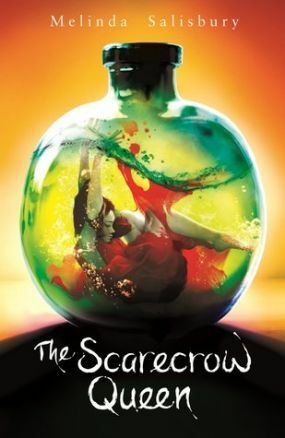 Drama, heartbreak and so much shock-and-awe, The Scarecrow Queen really is the perfect ending to an amazing trilogy. Even though This was the ending of this trilogy, I am now looking forward to reading the short story book – The Heart Collector. This includes 3 short stories – The King of Rats, The Heart Collector and Mully No-hands. I really hope that there will be other adventures within this world in the future. I love how vast the lore feels and I hope one day we get to explore the other areas of it through different characters.. The Scarecrow Queen by Melinda Salisbury, a beautifully wrapped up novel to end an incredible trilogy, gets 5 out of 5 flails! I don’t particularly like reading books, but every time I read one of your reviews, it makes me either want to read the book, or makes me feel like I’ve read the book, which is satisfying! But regardless, I always enjoy reading these reviews. It does give me a motivation to read something! Previous Previous post: OMG This Song Book Tag!